Ornamental grasses are versatile plants to feature in a variety of landscape styles from Japanese gardens to modern, waterwise landscapes. 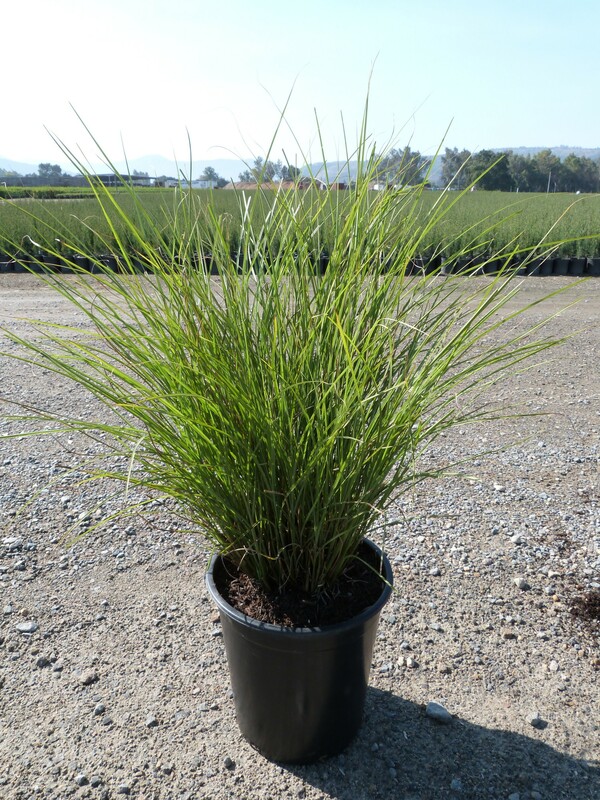 Miscanthus sinensis ‘Yaku Jima’ features graceful, soft, green narrow leaves that grow in a graceful downward arch. Summer through fall, buff colored flowers tinged with red rise above the foliage in feathery panicles. Though the panicles fade to silver in fall, then to tan in winter, they still appear offer aesthetic value to winter landscapes. ‘Yaku Jima’ is incredibly versatile and can be planted en masse in meadow-style garden, as a border or accent plant in cottage and Japanese gardens, or in more formal or modern designs. Its small stature also makes it an excellent feature in smaller, urban homes with minimal planting space. While ‘Yaku Jima’ is tolerant to a variety of soils, it grows best in well-draining soil and medium moisture to keep roots healthy. Plant ’Yaku Jima’ in full sun to ensure the best show of flowers. In too much shade, flowers tend to flop over. In late winter, just before new shoots appear, cut foliage to the ground to keep plants looking clean. Though very pest tolerant, it can succumb to mealybugs and blight in some areas of the country where these diseases persist in other plants. Summer blooms, winter interest and minimal maintenance make Miscanthus ‘Yaku Jima’ an excellent addition to a variety of landscapes.